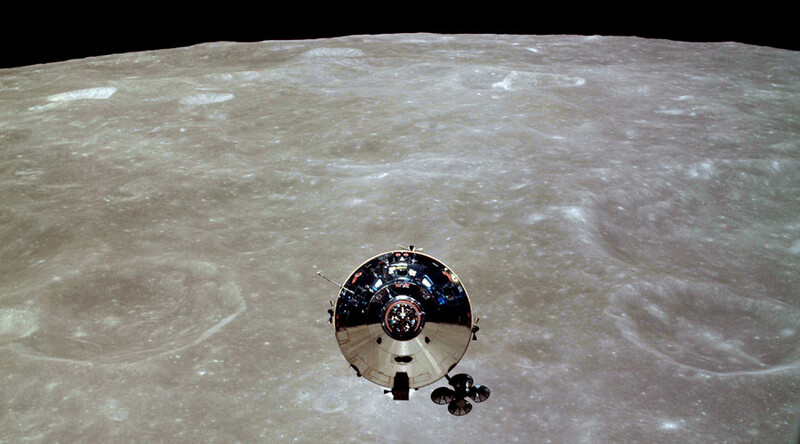 Another reminder of space being a creepy place has been presented in the lost Apollo 10 tapes – the mission that circled over to the dark side of the Moon. The tapes contain strange ‘music’ that was received out of Earth’s signal reach. The mission happened in May just ahead of Apollo 11’s 1969 moon landing two months later. The recordings recovered from Apollo 10 were only declassified in 2008 and will now be played on the Science Channel’s Unexplained Files coming up later this month. So, what was strange about those recordings? Besides the fact that they contained a very musical dance of frequencies and noise, it was the fact that they could not have come from any manmade source, as there’s no radio signal on the far side of the Moon. This means also that astronauts can’t talk to Earth and are effectively alone in outer space for the duration of their time there. In 1969, two months before Neil Armstrong would set foot on the moon, Apollo 10 was cruising just above the lunar surface when the crew was surprised by a “whistling sound.” The three astronauts discuss the incident at length in the upcoming show. The “music” transmission lasted for almost an hour, and had the crew talking about whether NASA needed to know at all what they had heard. "It's unbelievable! You know?” they confess. Almost five decades later there is still no clue as to the source. When the three eventually got back, they opted not to tell NASA, which could be a smart move, seeing as the agency could have had them remanded into custody and kept from flying because of concerns for their mental state. The debate will rage on in the upcoming episode of ‘NASA’s Unexplained Files’, as scientists continue to discuss the more prominent theories: one possible one is that charged particles were interacting with a magnetic field, the way they did on Jupiter and Saturn. There’s of course one problem here: the Moon has no magnetic field or atmosphere of any kind.